We all encounter this question... from school information to applications and interviews; there comes a point where someone would ask what your mother's maiden name was. Up to just recently I came to realize, "why do we tend to miss it out really?" Practically, since we've gotten to only use our middle name's initials when writing our names on paper and everywhere else, our mother's maiden surname usually gets left out. Things changed for me when my parents decided I live in my mom's hometown. LEGAZPI. My first encounters were meaningful, it truly made me wonder. The interviewer's response made everything so interesting that I just had to know more. "How are you related to Ruth, Grace and Patty?" From school to church gatherings and mostly everywhere else, this became the usual scenario. With it lingering in my head, I pondered what made them so loved and known. Ruth, Grace and Patty (my mother) are the perfect examples of a true Filipina character. Though they may not be the typical celebrity in the Philippines, they are the Tres Maria's that makes who I am today and inspires me on who I want to be in the future. My Aunt Ruth and Aunt Grace, both certified nurses, chose the life of working and living abroad, but in their ways and life styles, they carry the pride of what a Filipina truly is. My mom settled at staying here in our homeland and managed to grow a business that continuously develops and evolves. True enough, my admiration to these Tres Maria's soars higher than anything else and being the next in line puts great pressure on what's expected of me. Compassion. Aunt Ruth, mother of two kids died fighting cancer. Though she struggled so much during her treatment, she fought real hard and had succeeded once too. Along the second blow of that illness she continued and managed to keep in touch, writing us with shaky hands words of comfort which made her parting quite endearing and accepted. She was able to inflict in us a caring and comforting attitude that we've come to cherish all these years. Wisdom and discipline. Aunt Grace never failed to boost our confidence. Close to perfection, she ensured the thought of being happy about ourselves and to strive more. Up to now, her idea of faith, belief, and self control amazes me. Out of the three, she is the one I ran to when I doubt myself. Although she works as a nurse in New Jersey, she brought with her the knowledge of Filipino natural healing. Traditional massages matched with herbal medicines are among her specialties. More than that, her ability to push you beyond your limits truly gives you the strength to want more. Patience, understanding and enthusiastic. Patty, my mom, the youngest among the Asagra sisters, is the life of the family. She carries with her that loving glow of a person full of life. I've seen her ups and downs but my hands are up when it comes to her strength and will. Beauty and brains. The tough chick with all the love she can give. That's who my mom is to us her kids, and to everyone else who knows her. Mix all Tres Maria's together and hopefully you'll have... ME. Basically, you can just imagine the character I have to life with after knowing what all three had to offer. These Tres Maria's are my inspiration. They reflect what a modern Filipina really is: A wild flower that's full of life, knowledge and love. Something that describes the real essence of a true blooded Pinay. Sometimes knowing the background behind what you thought isn't so popular middle name comes up with something you can actually be proud of. "Asagra!" 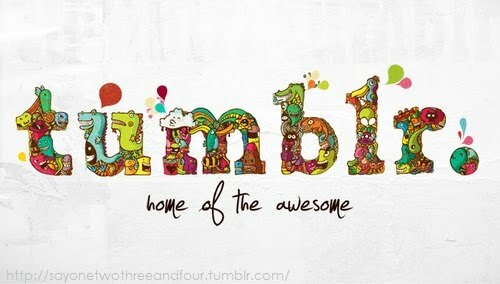 And proud to be one. Filipina. How about you? What's your middle name? Anyway, I dig the whole cheery tribute vibe and how straight to the point this writing of yours is. But you gotta be careful with some grammatical glitches here and there but other than that, your essay is good to go. Anyway part 2, here's to hoping you'll be able to bag the grand prize. Kbabai. @talamasca: just keeping a promise. i did say i'd come up with one. glitches? hehe... the hell i care. im never really that careful. these gigs are good enough boost when you don't have the juice to update your blog. LOL! win? nevermind. hhahaha! Hello adianka ang girl na maganda, AKO ANG MIDDLE NAME KO AY.. Paler! wala pako nakikilalang ibang tao na di ko kilala na kapareho ko ng middle name..
anways... kung meron man jan.. edi ok hehe.. pero malamang meron kasi lolo ko dami babae eh. After reading your post, I can say that Filipinas are great models. No one can beat them specially our mothers.